This time Harry Potter has really done it. Surely he is going to be expelled from Hogwarts School because he violated the law which regulates the use of magic by underage wizards. Harry, quite simply put, blew up Aunt Marge. She isn’t really his aunt as she only Uncle Vernon’s sister but when she said one horrible thing too many Harry just couldn’t help himself. When he left his uncle’s house in a panic, Aunt Marge was floating around the ceiling screaming. Thankfully, it turns out that the Ministry of Magic is far too worried about the escape of a dangerous criminal from the wizard prison Azkaban to concern itself about Harry accidentally breaking the Decree for the Restriction of Underage Wizardry. In fact they are very worried that the escapee, Sirius Black, is out to get Harry. It is said that Black was the one who betrayed Harry’s parents to the dark wizard Voldemort. The betrayal led to Voldemort killing the Potters. It is also said that Black killed another wizard and lots of muggles when he blew up a street twelve years ago. Clearly the man is exceedingly dangerous and therefore the Ministry has decided that Dementors, dreadful and terrifying creatures which police Azkaban, will have to be placed around the perimeter of Hogwarts to keep the students, especially Harry, safe. Though the school year progresses in a seemingly normal way there can be no doubt that the concern about Sirius Black is on everyone’s minds. When it becomes clear that Black is indeed trying to get to Harry for some reason of his own, life gets all the more worrying and complicated. 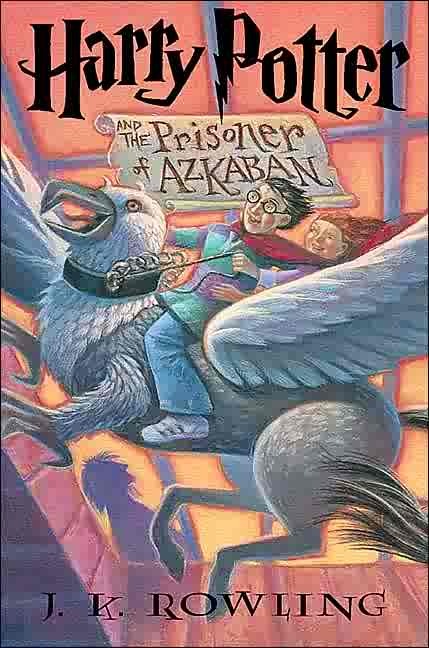 On top of this Harry finds that he responds very badly to the presence of the Dementors and he tries desperately to find a solution to this problem. Then there is the mystery of what on earth Hermione is up to. It would appear that she is somehow doing several subjects at once and yet how can that be possible? J. K. Rowling has created yet another of her gripping and quite irresistible stories. Harry once again is whirled off into a mystery in which he is a major player and yet is doesn’t quite know what his role is and what is expected of him. Just like all of us, he stumbles around in the dark a great deal trying to put together the pieces of the puzzle, doing the best he can. Despite the fact that he is a wizard and has magical powers Harry is extremely accessible because he is also a very fallible human with faults and weaknesses which we can relate to.